Although there is no reason to be self concious or ashamed, hair-loss can impact your self-image negatively. Balding and hair thinning is a common occurrence. There are a both surgical and non-surgical treatments available to stimulate natural hair growth or to transplant when necessary. PRP Treatment is the latest in cutting-edge hair-growth technology, assisting in stimulating hair growth, naturally. PRP hair growth therapy is non-invasive, quick and painless. A small quantity of your blood is drawn and separated using a centrifuge to separate the protein-rich platelets which act as a natural hair growth stimulant. Once the platelets have been successfully prepared, they are injected into affected areas, which inturn rejuvenates the hair follicles and assists in hair growth. PRP Hair Growth Treatment is a conveniently quick treatment and can be completed in an hour. The treatment is amazingly effective and some patients have immediate results in hair growth and hair thickening, but best results are seen after 3-months. This is an incredibly fast period in terms of regrowth of the natural hair life cycle. PRP Hair Growth Treatment is a hypoallergenic treatment since your own blood is used. There are no compatibility tests prior to treatment, only a consultation in order to determine the cause and duration of your hair loss. If you have recently embarked on another hair growth treatment to stimulate hairgrowth or any transplant procedures PRP treatment will enhance and speed up the process. PRP hair growth treatment results in lasting results and patients often have a quarterly booster treatment to further enhance results. Who Should Take Advantage of PRP? 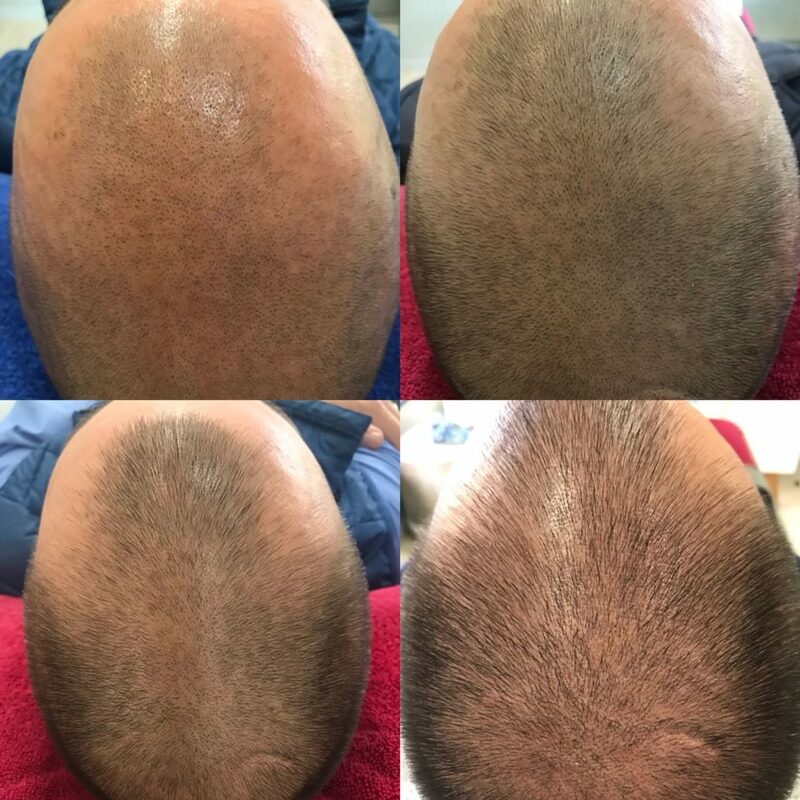 PRP Treatment is suitable for anyone experiencing thinning hair or balding(even genetic) Patients with Alopecia areata and Alopecia universalis(complete balding) have even had remarkable results. PRP results are even better when combined with other treatments such as; laser therapy and the best results are seen when combined with surgical implants. If you are considering a hair loss treatment, PRP is the most advanced treatment to consider.